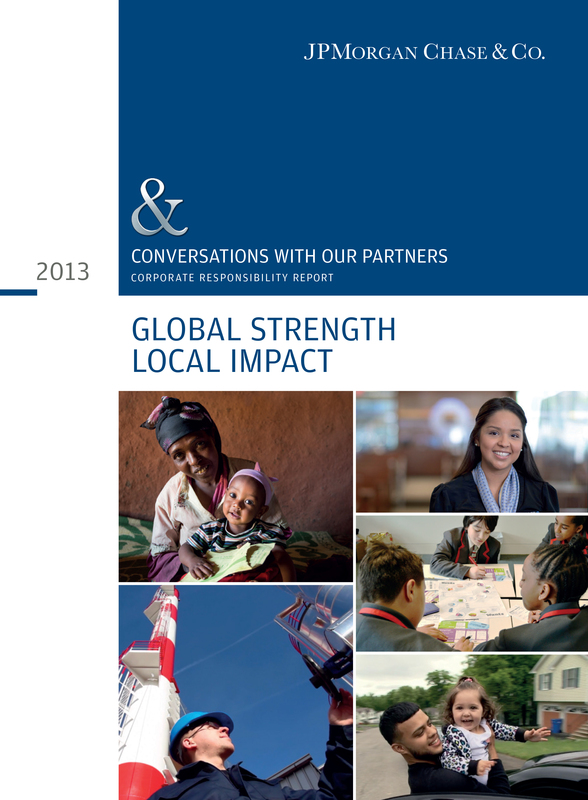 JPMorgan Chase & Co. is pleased to share with you its 2013 Corporate Responsibility Report. The report highlights a number of the initiatives we undertook last year to address economic, social and environmental challenges here in the United States and around the world. For more information about corporate responsibility at JPMorgan Chase, or to read the report, please visit www.jpmorganchase.com/corporateresponsibility.